In the March/April 2012 issue of Quiltmaker I have a medallion quilt called Minnesota Homewarming. This quilt measures 80″ square. I have received questions on how to make the quilt bigger. My suggestion is: the quilt is made of units all finishing 4″ – so to enlarge it you could add more borders of any unit you like that finishes 4″. You could also add a border of 8″ finished sized blocks. You might choose to repeat some of the design elements found in the center of the quilt or one of the other borders. Recently someone asked how to make it longer. This is what I would do: insert a unit found in the outer border (the shaded half-square-triangle units) after the checkerboard border. Then add another row of checkerboard. This would add 16 inches to the quilt. Looks pretty good to me. And of course it’s made from 5″ squares! 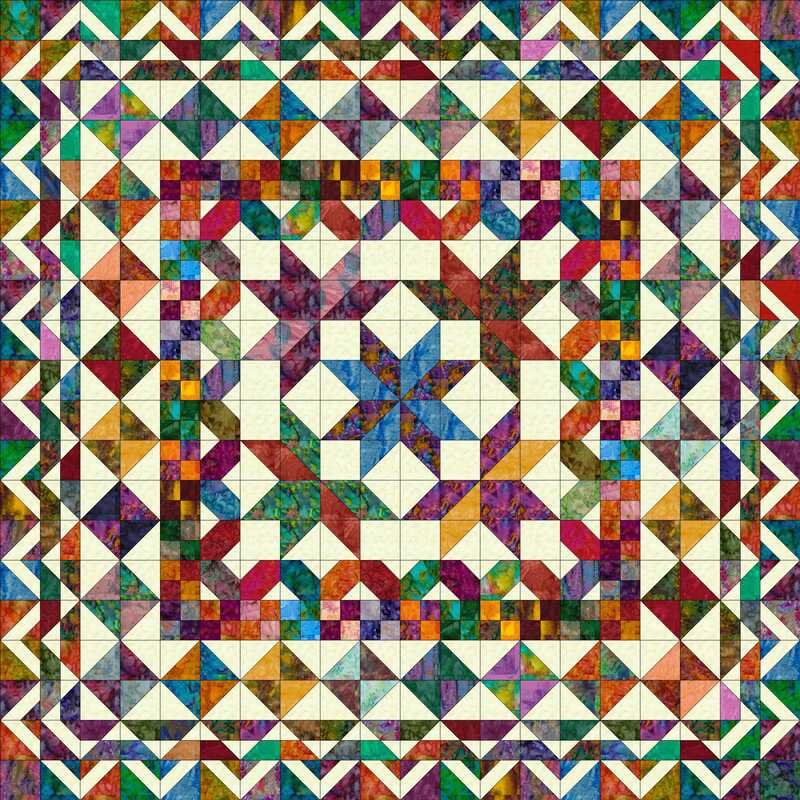 This entry was posted in Uncategorized and tagged Alterations, Checkerboard, Half-Square-Triangle, Medallions, Quilt Patterns, Quiltmaker by patspeth. Bookmark the permalink. Pat, I am a subscriber to Quiltmaker Magazine and have misplaced one of my issues March/April 2012 I used, to make a border on one of our guild’s challenge pieces. 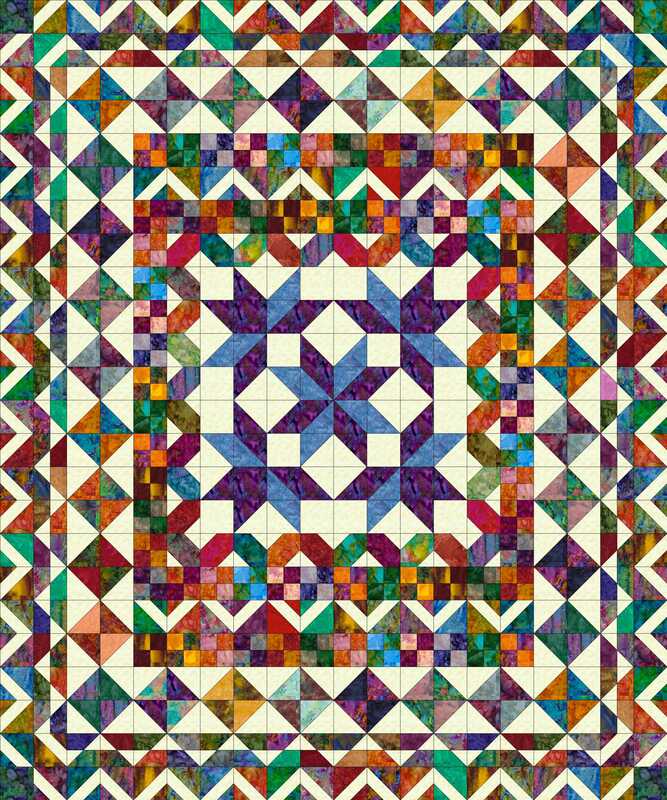 It was the last border on your Minnesota Homemaking quilt. I need the insructions for size cutting to make those Zig Zag blocks. I rechecked my challenge piece and my outer border blocks measured 3″ finished. Is there a way you could send me the cutting and piecing instructions for just the outer borders? Pat , I am looking to get your pattern Minnesota Homewarming. Can I find it anywhere to purchase it? My email is theburches@hotmail.com. Please help me! It is in the March April 2012 issue. Have fun with this quilt!